Was it a decade ago when High Definition TVs proved to be all the rage? Well, time has certainly passed by swiftly, and Full HD has become more or less “normal” in our sights at the moment. This can only mean one thing – us consumers are clamoring for the next big thing, and this would mean bigger and flatter TVs, with even thinner bezels, not to mention a higher level of resolution, of course. Samsung, a pioneer when it comes to the world of consumer electronics, has just announced that it will roll out the JS7000 SUHD TV in the US. Following the successful launch of Samsung’s flagship SUHD TV line, this spanking new 4K SUHD TV will boast of high quality picture enhancements alongside a brighter, more true-to-life picture, without breaking the bank, of course, which would make it an interesting purchase that is worth considering. 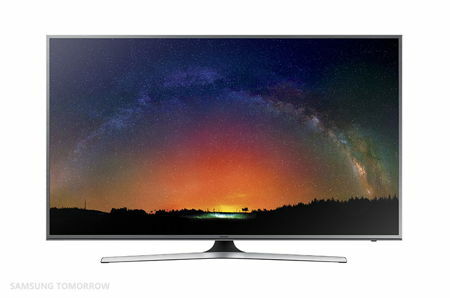 It is touted that the JS7000 SUHD TV will enable more people than ever before to enjoy breathtaking picture quality from Samsung’s best TV ever, and apart from the breakthrough display technology, this 4K ultra high definition television will boast of a new Quad-Core Smart TV platform which will enable consumers to access and play their favorite content seamlessly from almost just about any device. The JS7000 will also let viewers enjoy picture crispness and increased detail, regardless of how large the screen size is, as it has 4X the resolution of full HD. Apart from that, it will also be able to display High Dynamic Range (HDR) content, which has been created specifically in order to show more life-like images by making dark parts of an image darker, while light parts of an image will be turned brighter. There will be a trio of size classes (50”, 55”, 60”) to choose from, where the Samsung 4K SUHD TV delivers picture crispness and dramatic detail. The Quad-Core Processor will also open the door for viewers to enjoy an advanced Smart TV experience provided by Tizen at faster speeds, accompanied by an intuitive UI and Smart Hub. Any takers? After all, they already have the world’s largest UHD TV.